Sandy Felton reviews a new book on the ‘Secret Gardens of East Anglia‘ where big skies and extraordinary light make it unlike anywhere else in Britain. When I was a child one of my favourite books was Frances Hodgson Burnett’s ‘The Secret Garden’. For me, the discovery of the hidden garden behind the overgrown door and the children’s endeavours to regenerate it impressed me so much that it was one of the main inspirations in my own gardening life. 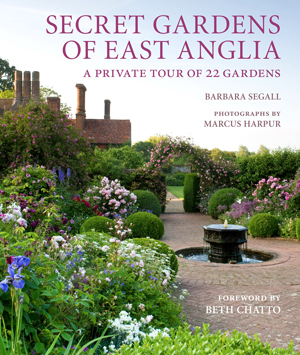 Ever since, I have been drawn to books that will take me on a similar journey of discovery and I was, therefore, delighted to see that author Barbara Segall had chosen the ‘Secret Gardens of East Anglia‘ as the topic for her latest book. 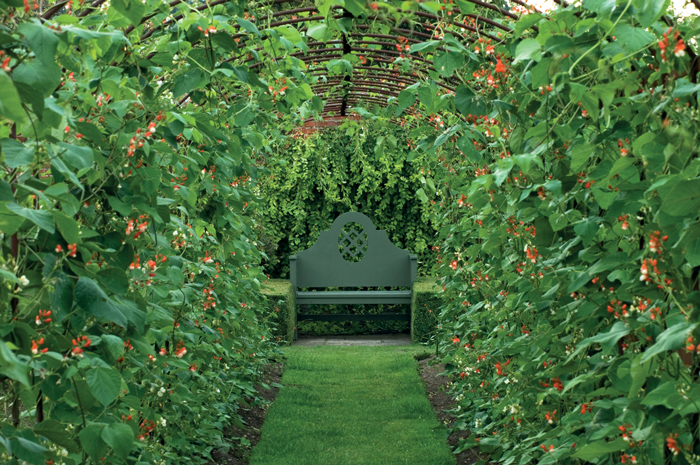 The 22 gardens selected for the book celebrate the culture, beauty and diversity of the counties of Suffolk, Norfolk, Cambridgeshire and Essex, bringing the reader a variety of gardens, all of which deserve to be better known. 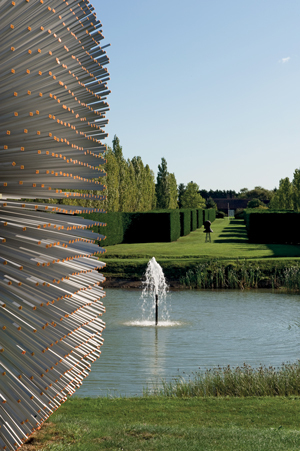 Secret Gardens of East Anglia has been carefully crafted by an award-winning team – author Barbara Segall and photographer Marcus Harpur. It demonstrates that when two people work together in perfect synergy the results are guaranteed to be stunning. Sadly, Marcus died shortly before publication so the book is a fitting testament to his brilliant photography, his wonderful insight and his ability to make every garden image a pure delight. In the Foreward, Beth Chatto points out that it is only by “walking in a garden, whether private or public, large or small, that you can really appreciate the picture that has been created there.” In this book the author walks the gardens for us, bringing alive a wide variety of styles and passing on to the reader a careful description of each one so that we too start to come under the spell of this region with its wide landscapes and captivating skies. East Anglia is an area of Britain I have visited sparingly and so I found great delight in discovering gardens I knew little about. The book also provides a lovely insight into the gardening heritage of East Anglia and I think this is one of its major strengths. On the plus side too is the fact that the author explores each owner’s personal passions for garden making as well as their challenges. Barbara’s style is concise, fresh and entertaining and you are instantly brought into each garden from the start. She is an excellent story-teller and the descriptions she shares with the reader really do leave you feeling you have visited in person. Added to which, the outstanding photography by Marcus is the perfect complement for the text. So what of the gardens chosen? There is an eclectic mix from the virtually unknown such as Hunworth Hall and Winterton Lighthouse, to those of a higher profile such as Helmingham Hall, (pictured above) and East Ruston Old Vicarage. Each entry not only describes the style and creativity behind the garden but also the individual challenges, for example as at Barnards Farm in West Horndon, Essex where Bernard and Sylvia Holmes were not to be deterred by the several pylons prominent in their ‘borrowed landscape’ by using two main pylons as reference points in the garden’s design. At Ulting Wick, the home of Philippa and Bryan Burrough, Philippa literally paints with plants. Her deft and intuitive use of colour is matched by her thorough knowledge of plants while Bryan takes credit for his exemplary mowing of the extensive lawns and woodland paths. His support and encouragement has helped Philippa open the garden to the public for the past 14 years under the National Garden Scheme. At Norfolk’s Winterton Lighthouse, we find a garden that boasts a lush feel, with plants mingling in curved or linear borders or rising out of beds with an edging of masonry painted black to match the livery of the lighthouse. Here the owners wanted a succession of interest from foliage, bark, flowers and plants that would look after themselves, taking account of a garden where the salt laden wind is a limiting factor. At Wyken Hall, (pictured above) an Elizabethan manor house and estate in rural Suffolk, we find in the surrounding landscape “a lively combination of classic charm and originality.” Here the rose garden holds over 60 varieties with the pastel shades of the roses matched by the hues of delphiniums, astrantias and alliums. In Cambridgeshire, Elton Hall (pictured banner above) has been in the same family for more than 300 years. The current residents of this beautiful house are Sir William and Lady Meredyth Proby, described by the author “as modern, pragmatic yet undeniably creative custodians” who faced the daunting task of creating a modern garden that accommodates the hall’s two distinct faces – one matching the Grade 1 listed building for grandeur and one offering a feeling of warmth and intimacy. 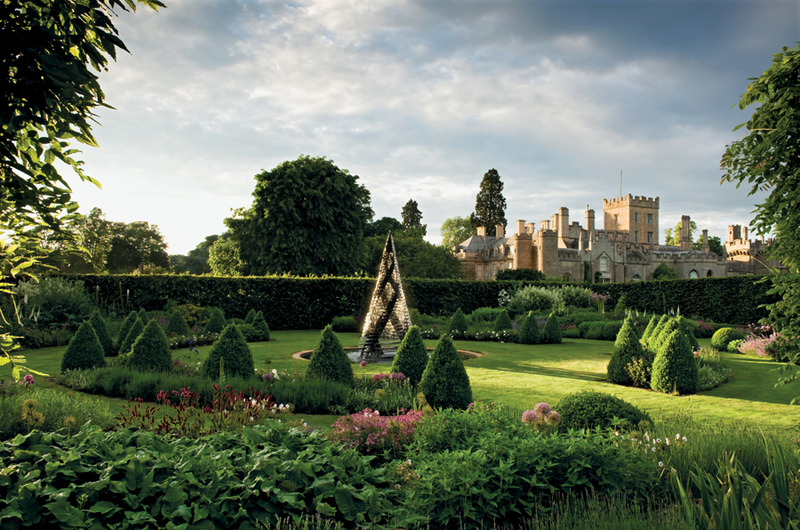 Lady Proby has achieved this with “brio” making for a rich experience when exploring this newly revived garden. I certainly wanted to linger at Polstead Mill, in Suffolk and found my kind of garden at Kirtling Tower in Cambridgeshire. Here can be found a real secret garden – a hidden space boasting deep, curving borders of shrubs and trees – containing specimens of oak, dawn redwood and a rare alder. 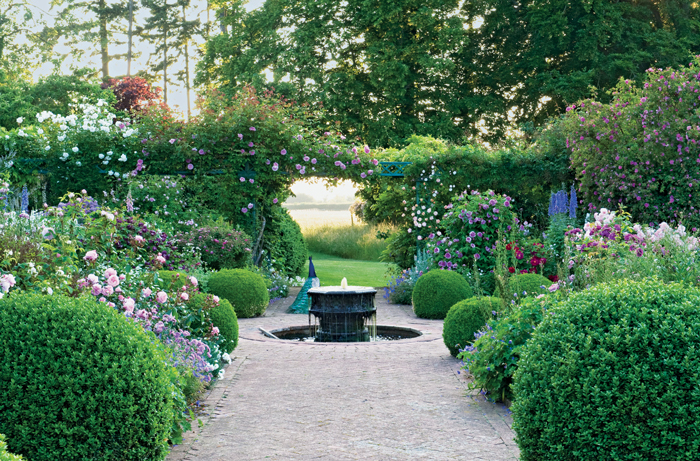 However, not all the gardens in the book are large or substantial. In the centre of Cambridge, for example, passers-by are unaware of an oasis behind the high walls of an artisan cottage. This tiny town garden opens once a year under the National Garden Scheme and for a couple of weeks in July. John Tordoff and his partner Maurice Reeve decided to swap a more ambitious garden in Umbria for the tiny plot in Cambridge so that they could be close to the buzz of the city’s cultural centre. The results are literally jaw dropping. A pleasure to read, a pleasure to browse through and a pleasure to enjoy the wonderful photography perfectly encapsulating each garden’s style and spirit. The author writes in a friendly and warm style and her plant information is spot on. At the time of publication 21 of the 22 gardens are open to the public at some time during the year, and garden opening information is given at the back of the book as well as a useful map to help with planning visits. (pictured right: Barnards Farm). The late Marcus Harpur was a contributing photographer to the RHS Garden Plant Selector and the Colourful Gardening Series as well as principal photographer on titles such as How to Garden and The English Country House Garden. His photography in this book will be a constant reminder of his special talent and insight. ‘Secret Gardens of East Anglia’ by Barbara Segall, with photography by Marcus Harpur is published in hardback by Frances Lincoln – www.quartoknows.com – at £20 and will be available in bookshops from 7th September, 2017 or to pre-order on Amazon. Review copy kindly supplied by the publishers.